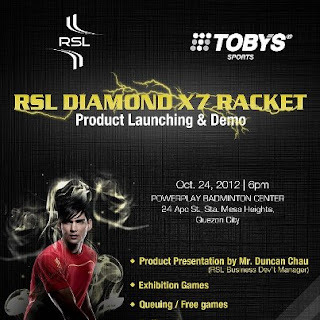 Badminton players and enthusiasts headed on to Powerplay Badminton Center in Sta Mesa Heights, QC to witness the RSL Badminton Diamond X7 product launch last October 25th. 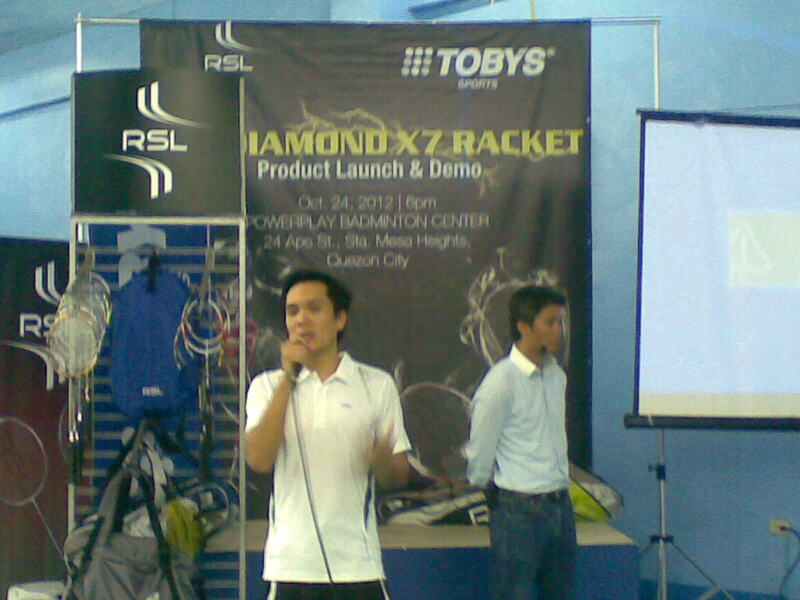 RSL, together with Toby's Sports, introduced RSL Diamond X Series to cater to athletes serious about badminton and who are in search of superior rackets that would get them ahead in the game. The event was loaded with exhibition games and freebies! 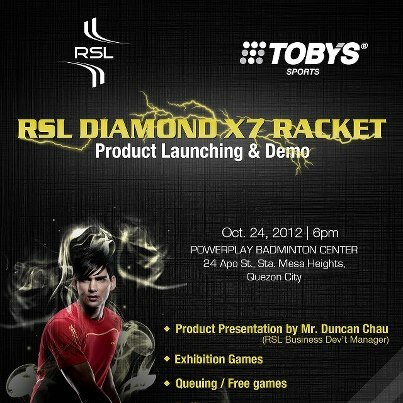 RSL Diamond X7 is the most advanced in this cutting edge line of precision badminton equipment. 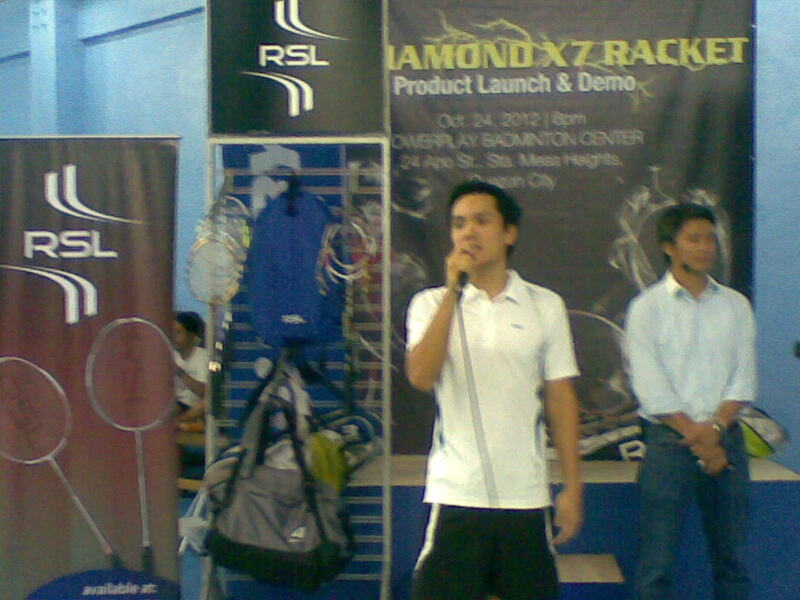 The top local badminton coaches and elite players in the likes of Nico Saquin, Ian Bautista, Ian Mendez and Raymar Nadal demonstrated the fine points of the RSL Diamond Series. "At RSL, we are always a step ahead in terms of product evolution," says Duncan Chau, International Brand Director of D.H. Shuttlecocks Inc.
"We are very thrilled to introduce the RSL Diamond X Series to the Philippine badminton community. 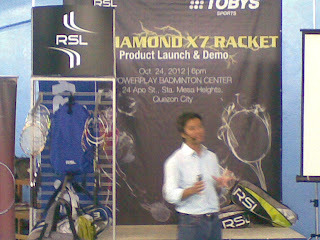 The technology and the innovations made on these equipment will definitely highlight the talent of local badminton players," he adds. RSL is a professional badminton equipment provider, established in England since 1928, specialising in shuttlecocks, badminton rackets, Here are the High-Quality Badminton Shuttles made by Good Quality Goose Feather. RSL Shuttles manufactures the world's finest shuttlecocks.